Jeanne Theoharis is Distinguished Professor of Political Science at Brooklyn College of City University of New York. She is author or co-author of seven books and numerous articles on the history of the Black freedom struggle and the contemporary politics of race in the United States. 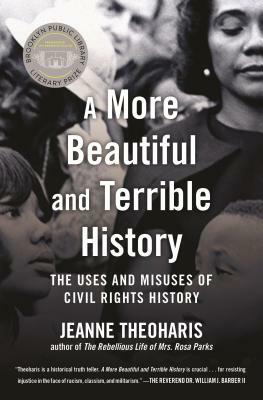 Theoharis’s New York Times bestselling biography The Rebellious Life of Mrs. Rosa Parks won the 2014 NAACP Image Award and the Letitia Woods Brown Award from the Association of Black Women Historians.